In November 1831, Joseph Smith and his associates in the leadership of the Church of Christ decided to publish Smith's dictated revelations for the first time. Several score revelations, dating from as early as July 1828, would be printed in volume to be called the Book of Commandments. When Oliver Cowdery, the highest-ranking officer in the church after Smith, asked a conference of elders to determine how many copies "it was the will of the Lord should be published in the first edition of that work," the elders "voted that there be ten thousand copies struck." For an organization less than two years old with a membership of just a few hundred, the decision appears overly ambitious, but Joseph Smith had already published five thousand copies of the Book of Mormon under even more modest circumstances. He understood that printing was essential both to preserve and to disseminate the sacred texts God had given him. To that point, the revelations had been available only in manuscript form to Smith's closest associates, but with publication they could "go forth unto all flesh" as authorized by the revelation intended to end the book. 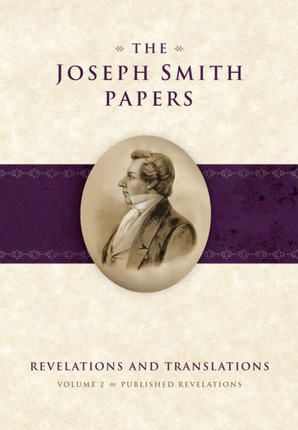 Revelations and Translations, Volume 2: Published Revelations features the Book of Commandments and the other major printed versions of Joseph Smith's revelations that were published or in the process of being published during his lifetime. Reproduced herein as high-quality photographs are the Book of Commandments (1833); the first edition of the Doctrine and Covenants (1835), including the portion that has come to be known as the "Lectures on Faith"; and seven additional texts added to the second edition of the Doctrine and Covenants (1844). Reproduced herein as transcripts are twenty-six complete or partial revelation texts published in the church newspaper The Evening and the Morning Star (1832-1833) and its later, reprinted version, Evening and Morning Star (1835-1836). Because these newspaper versions were produced in connection with editing and typesetting work on the Book of Commandments and the 1835 Doctrine and Covenants, they are critical sources for understanding the textual history of the revelations. 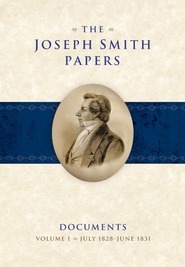 This volume of The Joseph Smith Papers also includes two appendixes that provide important related material. The first is a proposed reconstruction of what likely would have been included in the final thirty-two pages of the Book of Commandments, had the print shop not been destroyed mid-run by vigilantes. The second presents selected photographs of a copy of the Book of Commandments owned by Oliver Cowdery and marked up to prepare revelations for publication in the 1835 Doctrine and Covenants. Revelations and Translations, Volume 2 goes hand in hand with Manuscript Revelation Books, the first volume in this series. 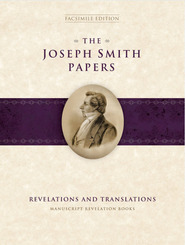 Manuscript Revelation Books presents the earliest surviving manuscripts of many of Joseph Smith's revelations, the ones used by Smith and his associates in preparing the published scriptures of their day. Volume 2 presents the printed revelations in the form that most early Latter-day Saints read and experienced them. Together the two volumes make the early revelations more accessible than ever before. Richard E. Turley, Jr., Assistant Church Historian and Recorder for The Church of Jesus Christ of Latter-day Saints, is a member of the editorial board of the Church Historian's Press, which publishes The Joseph Smith Papers and other highly-acclaimed works of Church history. He is the author or co-author of several books, including How We Got the Book of Mormon and How We Got the Doctrine and Covenants, with William W. Slaughter; Massacre at Mountain Meadows, with Ronald W. Walker and Glen M. Leonard; Stories from the Life of Joseph Smith, with Lael Littke; and Victims: The LDS Church and the Mark Hofmann Case. In addition, he is the coeditor of the series Women of Faith in the Latter Days, with Brittany A. Chapman, and general editor of the print volumes of The Journals of George Q. Cannon. He and his wife, Shirley, live in Salt Lake City, Utah. View more products by Richard E. Turley, Jr.
Robin Scott Jensen is associate managing historian and project archivist of The Joseph Smith Papers, and he coedited the first two volumes in the Revelations and Translations series. Jensen holds two MA degrees (American history and library and information science) and is currently pursuing a PhD in history at the University of Utah. Riley M. Lorimer is an editor for the Church History Department.